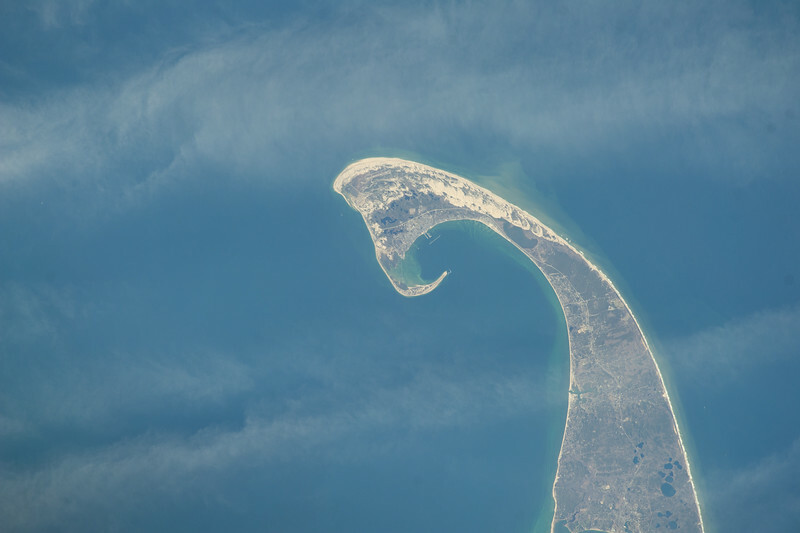 Maynard Art Show: A 400mm lens reveals a lot of detail, as in this photo of Provincetown and the curving tip of Cape Cod. Look closely and you can see the sandy beaches of the National Seashore, Provincetown nestled in the crook, the light green of the silt that hugs the coast, and the winding roads that connect the small communities in this remote stretch. Cape Cod formed about 16,000 years ago, as a terminal moraine, where rocks and soil where deposited at the end of a glacier’s reach. Cape Cod continues to change with coastal erosion palpably visible in the dramatic curve driven by the Atlantic currents.